Wow, a lot has happened since I first announced I will be traveling with Compassion in January to visit Eduardo. My son is going to Mexico with me!!! My very first passport arrived!! So, those were the two big announcements I wanted to share with you, but I wanted to update you on what I have been doing to raise money for the trip. I have been making a lot of jam, like over 20 batches!! Cranberry-Strawberry, Strawberry, Blueberry, and Apricot. Jam making is something I usually do during this time of the year, sometimes just for us, but a lot of times, I will make enough to give jars of jam as gifts during Christmas. I have been able to sell half-pint jars for $5 each. I hope nobody is expecting jam for Christmas this year! 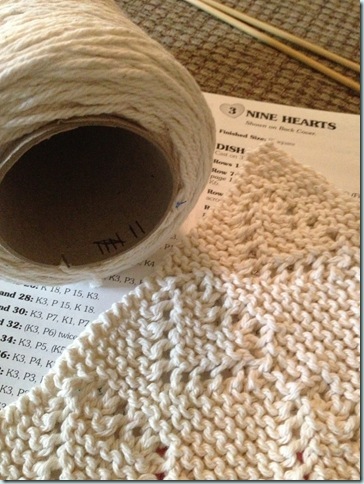 For bridal showers, I love to give the new bride a couple of hand knitted dish cloths along with an apron. When the trip came about, I had about 10 dish cloths already completed and ready for bridal showers in my closet. After checking prices on Etsy, I decided to sell some of these in sets of 3 for $10. I picked up a huge cone of cotton yarn at Hobby Lobby using a 40% off coupon. So far, I have made 11 dish cloths from this one cone and there is more yarn on the cone! For baby showers, I love to sew up a flannel blanket and a couple of terry cloth/flannel wash cloths. I had 15 of these in my closet done already because I usually go to JoAnn’s the day after Thanksgiving and purchase flannel for $1.59/yard. I did purchase more flannel last month to make a few more sets, and I have been selling these sets for $15 each. So, as you can see, I have been knitting, sewing, and canning my way to Mexico! God has allowed me to use things that I enjoy doing to raise money for my trip. I am amazed at how everything is coming together to make it possible for me and my son to go on this trip! Stay tuned for upcoming posts on how I am preparing for this trip! 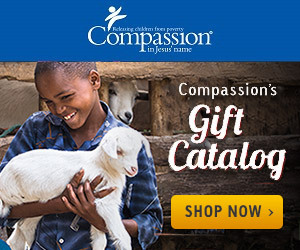 Questions for you: Have you ever raised money to go on a Compassion trip or mission trip? What ways have you fundraised that have worked for you?